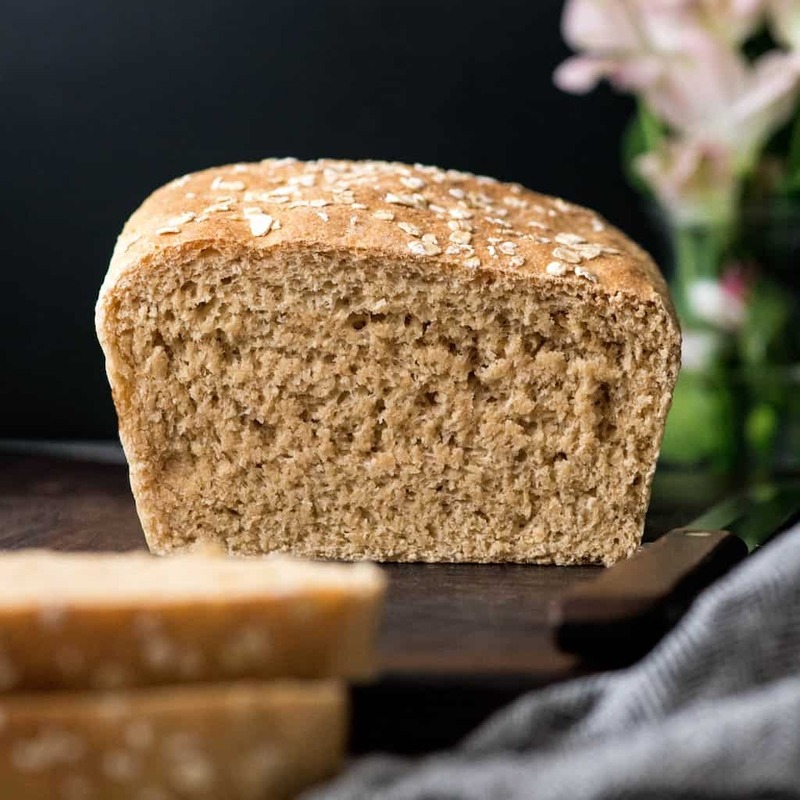 Homemade Honey Whole Wheat Bread is a dairy-free recipe that is perfect for sandwiches and toast! It’s a straightforward, classic loaf of dense, sweet bread that’s made with only 8 ingredients! This post was sponsored by my friends at Healthy Aperture & Hodgson Mill as part of the #HeartBaking18 campaign. I was compensated for my time. As always all opinions are my own! Nothing compares to freshly baked bread. The smell, the taste, it’s truly a beautiful thing. Even the process is therapeutic…from the first rise of the dough to the first slice of the finished product, the whole experience makes a house feel like a home. I have made this Homemade Honey Whole Wheat Bread more times than I can count, and whenever I post pictures of it on Instagram you all ask for the recipe! However, I hadn’t ever really recorded the ratios of the ingredients I used. I was so familiar with this bread recipe that I made it by sight and touch. So the last handful of times that I baked a loaf for our family I measured the ingredients so I could share this recipe with you! I love this Homemade Honey Whole Wheat Bread because it’s so much healthier and tastier than store-bought breads. 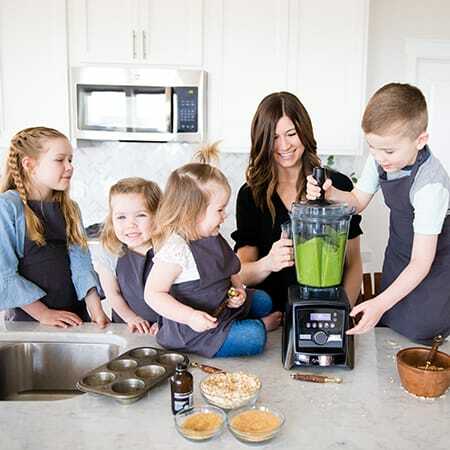 “Making your own” means that you know exactly what you are eating and feeding your family with zero preservatives or ingredients you can’t pronounce! 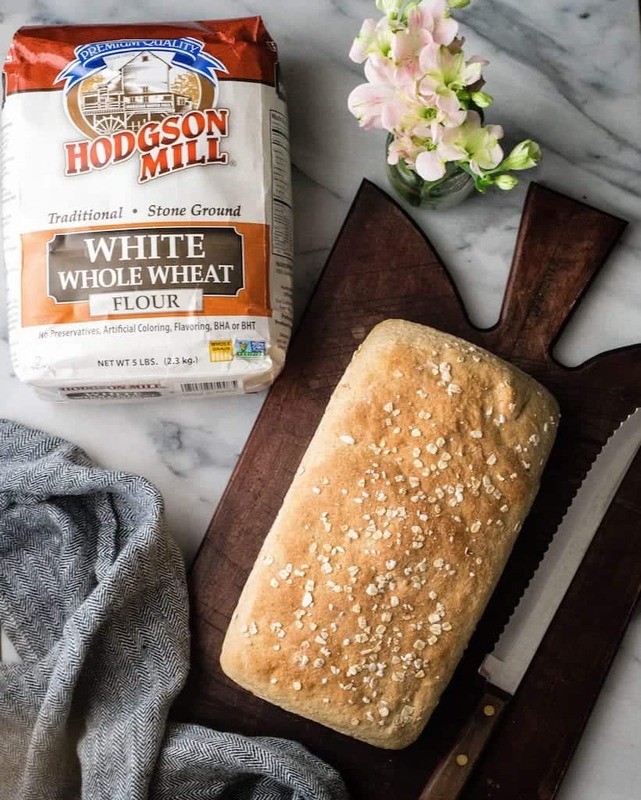 Plus using white whole wheat flour in place of refined white flour is an easy way to add nutrients when you bake because it’s full of fiber, vitamins, and minerals. If making yeast bread intimidates you, please don’t write this recipe off! I’m here to show you that it’s easy and fun to make bread at home. And seriously, once you try your hand at this Homemade Honey Whole Wheat Bread you will never be able to buy store bought loaves again! So here are a few tips on the method to help you on your bread-making journey! This recipe involves two rises. First the dough rises in the bowl and the second time around it rises in the loaf pan. 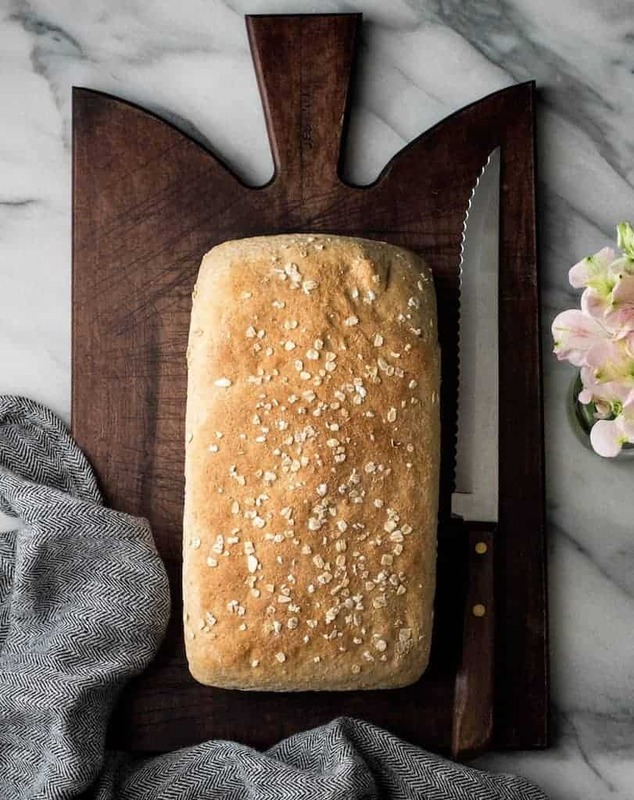 Have patience and don’t rush to the next step before the loaf has properly risen, or you may end up with a dense, short loaf of bread that is yummy but not really what we’re going for in this recipe! To speed up the rising process, cover the dough with a moist cloth and put it in the bowl/pan in the oven (while it’s off). Then place two cups of boiling water in an open container near the dough in the oven and turn the lights on. The warm damp environment will make the dough rise much faster! Just be sure to remove it before you preheat the oven! 2. Keep the crust moist. After you remove the baked dough from the pan, transfer it to a cooling rack and cover it with a towel. This will keep the bread warmer for longer, and it will also help the crust stay nice and soft! This bread freezes and reheats beautifully! I often make two loves, one for now and one to freeze for later. Be sure to slice the bread before freezing it! This way, you can pull out the number of slices you need for a given meal instead of the entire loaf! 4. White whole wheat flour. I used Hodgson Mill white whole wheat flour to make this bread! I love using white whole wheat flour because it has all the whole-grain goodness of whole wheat flour but is a lighter option! I find that it’s an excellent substitute for all-purpose flour in just about anything! White whole wheat flour also has so much more fiber than refined flours! Since the majority of people don’t get enough fiber – which is vital for heart and digestive health – I highly recommend trying to replace refined flours with whole grains as much as you can! Here are a few notes about substitutions in this recipe! Honey. I have only ever made this bread with honey. I am guessing that another liquid sweetener, like maple syrup or agave, could work well in this recipe. However, since I have not tried it I cannot guarantee results! Canola oil. Any neutral oil works well in this recipe. Canola and melted coconut oils are my favorite options. Olive oil, avocado oil, etc. also work great! White whole wheat flour. Regular whole wheat flour and whole wheat pastry flour can also be used in this recipe! 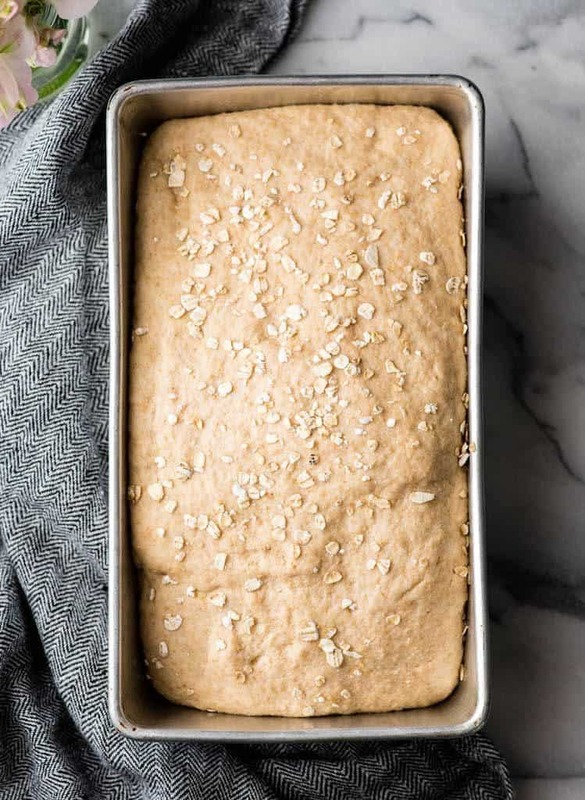 Homemade Honey Whole Wheat Bread is a dairy-free recipe that is perfect for sandwiches and toast! It's a straightforward, classic loaf of dense, sweet bread that's made with only 8 ingredients! In the bowl of your standing mixer, add warm water, honey and yeast. Stir to combine and let the mixture sit for 5-10 minutes until the yeast is proofed and looks foamy. Add canola oil, all-purpose flour 1 cup of white whole wheat flour and sea salt to the proofed yeast mixture in the bowl of your standing mixer fitted with the dough hook. Slowly add remaining white whole wheat flour ¼ cup at a time, mixing after each addition. Once the dough has formed a ball that is only slightly tacky and pulls away from the sides of the mixer, transfer it to a well-floured surface and knead until it becomes elastic and smooth. After dough has doubled in size, gently press all the air out of it and grease a 9x5” loaf pan. Transfer the degassed dough to the greased loaf pan and cover with a warm damp towel. 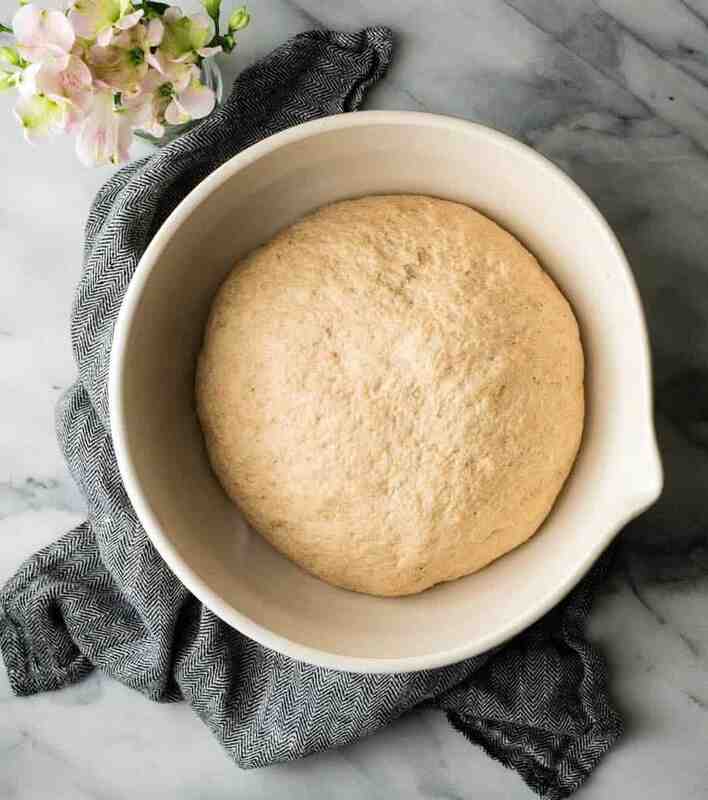 Let the dough rise until it reaches the top of the loaf pan, then preheat the oven to 350 degrees F.
Bake for 25-30 minutes in the preheated oven, or until the top is golden brown and the loaf makes a hollow sound when hit with a wooden spoon. If the top is browning too quickly loosely cover the loaf with aluminum foil and move to a lower rack in the oven. Remove the bread pan from the oven and place on a wire rack to cool for 10 minutes. After 10 minutes release the sides of the bread with a knife, and gently flip the pan over to remove the bread. Serve warm or let cool! To freeze: This bread freezes very well! I recommend slicing the loaf before putting it in the freezer! Here’s a fun fact…I don’t remember ever eating store-bought bread as a child. Our dad used to make homemade bread all the time. The only catch was…he never let us cut into the loaf until it was completely cooled. To me, not being able to eat a warm, steaming slice of that bready goodness I had been smelling allllllll day long was torturous. So, you better believe that the first loaf of bread I made after I got married was cut into and devoured immediately after it was removed from the oven, because being an adult means you can do those sort of fun things, right?! Now I enjoy that first warm slice with my own kids, and am grateful my dad instilled the love of cooking and baking into me at a young age! 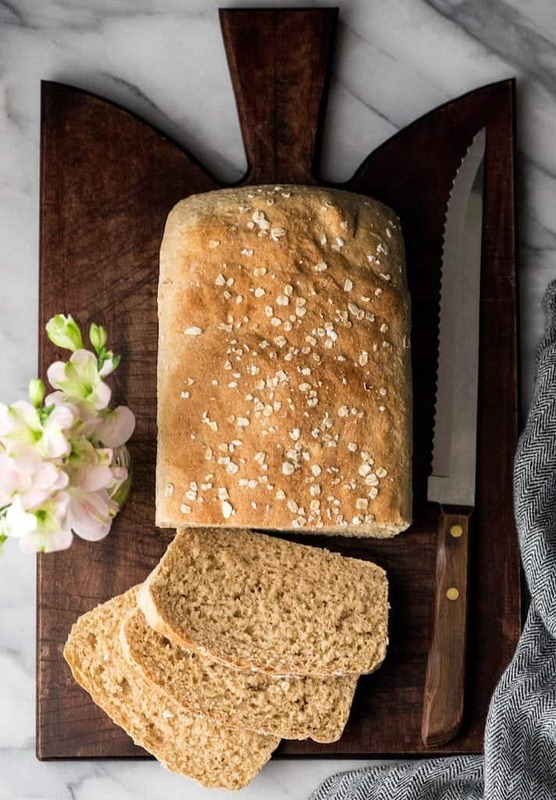 Have you ever made homemade bread? Do you bake with whole grain flours? I’ve just gotta make my own bread! And this looks like the perfect place to start! Totally going to have to make this! 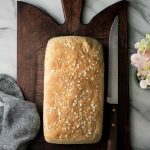 My husband eats sandwiches every day for lunch, so I would love to make homemade bread for him. Saving this recipe! YESSSS there is nothing nothing better than a fresh baked loaf of bread. I can’t think of anything that quite compares to that first slice with butter and honey. 🙂 I love that you have this down to such a science that you can make it pretty much by memory. Question. Do you put the oats on before baking or apply after? Hello! I put them on top of the dough after the first rise, once it has been placed in the bread pan before the second rise! I decided to make this bread today and this has been the first bread I ever bake! It is amazing! My husband and I loved it! Thanks for sharing this wonderful recipe! I have been thru several honey oat bread recipes looking for the best one. This by far is the best tasting bread I have ever eaten. It will be my go to bread recipe from now on. Thanks so much for sharing this recipe ! Can I make this if I don’t have a standing mixer? If so what do I need to do? 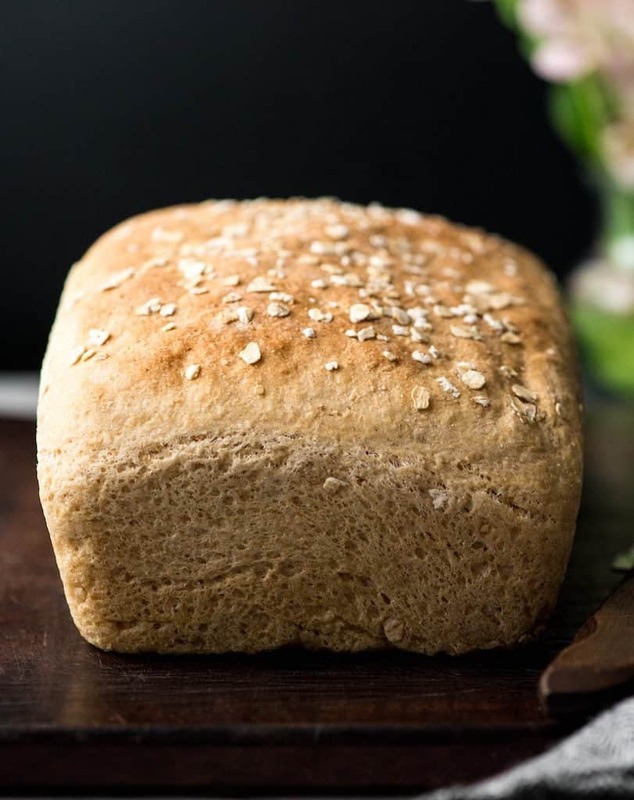 Can this bread be made using all whole wheat flour, instead of partial whole wheat/all purpose? Just made this. Super easy recipe. Thanks for the notes on substitutions, I used Olive oil, all white whole wheat flour, and didn’t put oats on top. Tastes delicious and will be my standard bread recipe going forward. 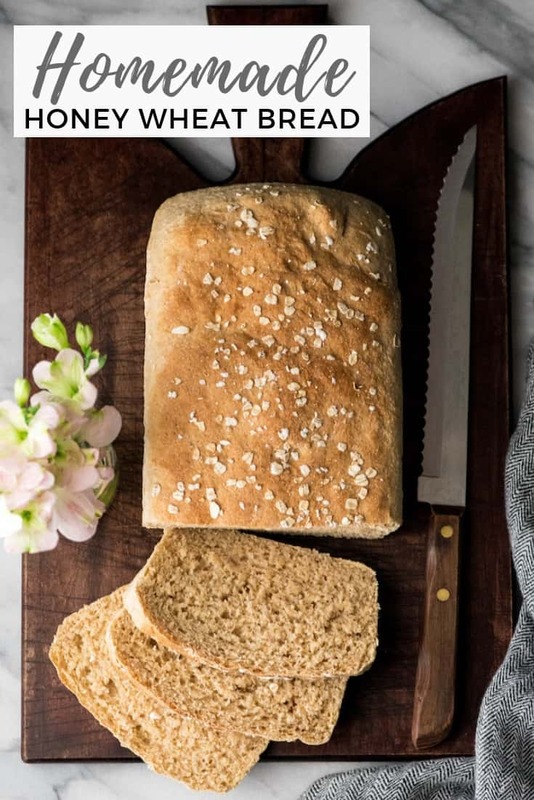 I grew up in a homemade bread household and wanted to get back into making my own and this is a perfect place to start!